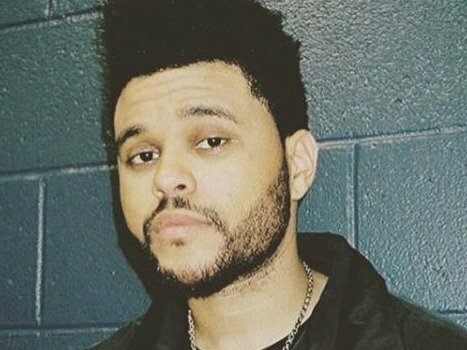 The Weeknd scrapped 'upbeat' album after Selena split? Break-ups are hard. Just ask The Weeknd, who put a "beautiful" and "upbeat" album on the back-burner allegedly over a break-up. The Weeknd has revealed that before releasing his hit six-track EP, 'My Dear Melancholy', he planned to drop a more "upbeat" album, but decided to scrap the whole thing. Interestingly, the 'Call out my Name' hitmaker recorded the scrapped album around the time he was head over heels in love with his girlfriend at the time, Selena Gomez. "Prior to Melancholy, I had a whole album written, done. Which wasn’t melancholy at all because it was a different time in my life," he told TIME magazine recently. When questioned whether the album was recorded while he was still dating Selena, the 28-year-old did not give a direct answer. "It was very upbeat—it was beautiful. I don’t want to perform something that I don’t feel." The Weeknd worked "tirelessly" on his new album 'My Dear Melancholy', which dropped in March - five months after their break-up. His new album is anything but upbeat. He even broke down while singing 'Call Out My Name', a song many believe is about Selena, during his appearance at Coachella last month. While The Weeknd declined to talk about his ex during the interview, he admitted that making new music helped him cope after their split. "It’s therapeutic. You want to get it out. It’s like you close a chapter," he told the publication. But don't expect him to mope around all year about the break-up. He was pictured kissing his ex Bella Hadid at Cannes recently. Maybe his next album will be a lot more upbeat! 'Call out my Name' is currently at number 7 on the Chamberlains Top 20. Tune in Saturday's 10 am -12 pm with Kriya Gangiah to find out who's on top of the Chamerlains Top 20 chart!